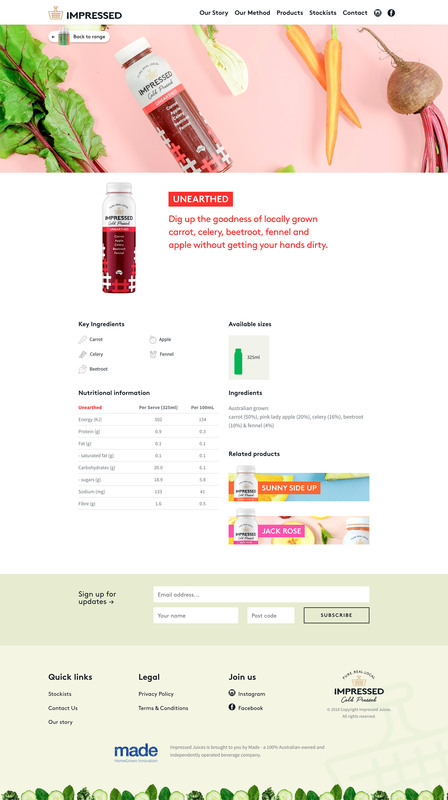 In early 2016 to late 2017 I worked with the Made Group to design and build a consumer facing website to showcase the providence and product of their Impressed Juices brand. 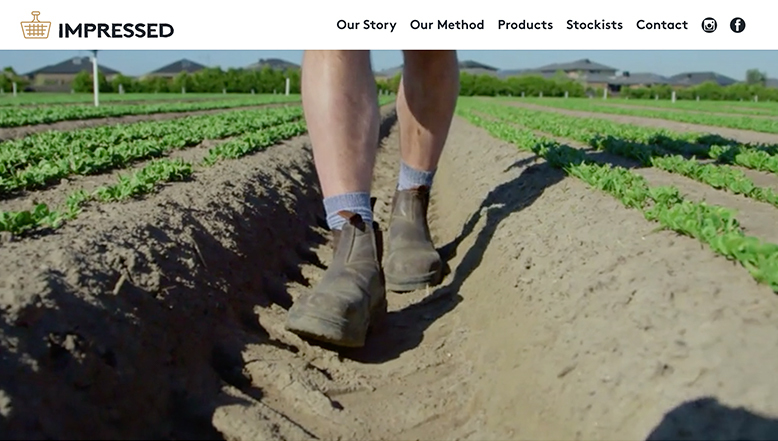 In a globally saturated market, we needed to work hard to produce an interactive site that stood out from the pack. We looked at current consumer value and the connection this had to quality process and ingredients. We researched globally, looked for patterns and strategies that would help us best address the local market in Australia. In contrast to a typical brochure website process, we begun by creating a bare bones responsive web prototype. This helped us form a content strategy we could see, and scaffold the story telling around the product, the unique process, and the ingredients. From this point, we brought the visual design system to life through rapid iteration and refinement. A design-in-principle was established, including 4 key page templates used to provide the journey between the homepage to the product detail page. We further optimised the information architecture to extend real in-store experiences by helping consumers find and learn more about a product online. Our device agnostic mindset ensures that consumers on existing and future devices can quickly discover the brand and identify their favourite cold pressed juices.